Razer have announced at CES 2015 that its next big project will be in the world of virtual reality. But it’s not a hardware competitor to the Oculus Rift, at least not entirely. Instead Razer are looking to produce a software platform that will support any kind of VR hardware; an ecosystem that will plug into headsets produced by any hardware developer. It’s called OSVR, and Razer are playing the long-game with it. OSVR is dubbed “the Android” of VR by Razer, although that confuses more than clarifies the situation. OSVR is not an operating system or VR platform, but instead a framework for various VR technologies. 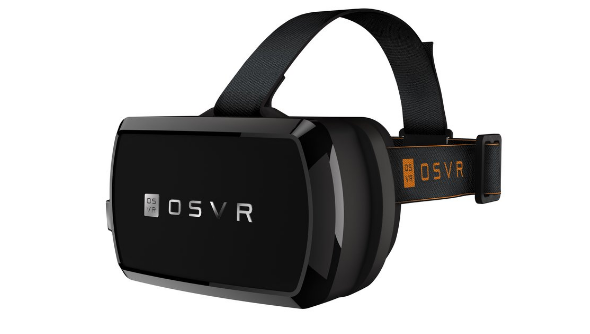 It’s designed to make the match between game engines and hardware easy; rather than developing for the strict parameters of just the Oculus Rift only to find that your game runs terribly on another company’s headset, you’d develop for OSVR which would in turn be compatible with many different devices. The end result would be similar to how Unity makes game development easy; create something in Unity and it’s simple to make it run on Windows, iOS, and Xbox without rewriting miles of code. At the moment multi-platform support doesn’t seem much of an issue since Oculus Rift is the only real VR option. But should Virtual Reality explode over the next few years and become as mainstream as HD TV, then numerous competitors will all arrive on the scene. With Razer’s OSVR playing the long-game, the solution to the problem of multiple platforms has been solved years before it becomes an issue. Alongside the framework Razer are producing the “Hacker Dev Kit”, a headset that’s underpowered compared to the current Oculus Rift models, but a good bit of kit to get people interested in developing VR. It has a 1080p panel, 60fps refresh rate, and 100 degree FOV. The panel is also interchangeable, meaning should higher-res displays become available they can be swapped out rather than buying a whole new unit.